DIY PVC Pipe Sukkahs and PunkTorah Retro-Sukkot Videos…It’s A Succos Showdown! It’s Sukkot, which means building the ancient Hebrew version of the double wide trailer, probably going to the emergency room when you whack your hand with a hammer, and of course, eating! Here at PunkTorah, we have all your Sukkot needs taken care of with our Succos Showdown! Here’s a retro-video of me and Michael building a wood sukkah. Of course, you are going to need food. Sukkot recipes abound in our food blog, NewKosher. Try the Pumpkin Au Gratin Soup…it’s delicious. 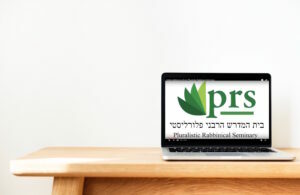 Of course, we’d love to see YOUR sukkah and Sukkot recipes, so email us your stuff and we’ll post it! PunkTorah does Sukkot! Check out the vids for everything you need to know…and maybe a few things you DIDN’T want to know.